Hello Dr. Hall! I had complete porcelain veneers treatment during my 1st trimester not knowing that I’m pregnant. Is this going to affect my baby? We were taught during dental school that when a woman is pregnant we should try to schedule routine dental work during the middle trimester. One of the problems with that is that at the very beginning of the pregnancy, when supposedly the baby is the most sensitive to foreign substances, you often don’t even know that you’re pregnant. Having said that, I don’t think you have anything to worry about. While during the last trimester, we’re trying to avoid stress on the mother, during the first trimester we are mostly just trying to avoid chemicals being introduced into your body that could be harmful to the baby. The only chemical introduced into your body during porcelain veneers treatment would be the local anesthetic, which is one of the safest medications there is. It has been used in millions of cases of pregnancy, including often during delivery itself, with no reported history of any harm to the baby. Lidocaine, which is the most commonly used local anesthetic for dental work, is one of the few medications proven to be safe during pregnancy. I saw a little divot or scratch in my porcelain veneer. I went to my cosmetic dentist and he said he could buff it out. He did, but now I notice that somehow the glaze in that area is gone (it looks matte). He did not use a proxy-jet he used something called cups and then a thin polishing mechanism. My worry is, will that area now stain, do I have to replace the veneer, is this somewhat common?. It still feels smooth in my mouth but when I dry the tooth and look in a magnified mirror, I see it. Any advice you can give is greatly appreciated. You call your dentist a cosmetic dentist. Even though I can’t confirm that he fits my definition of a cosmetic dentist, we can just go with that. Yes, with a matte finish, the porcelain will be more susceptible to stain. There is a way to polish a porcelain veneer and give it a luster very close to the original glaze. 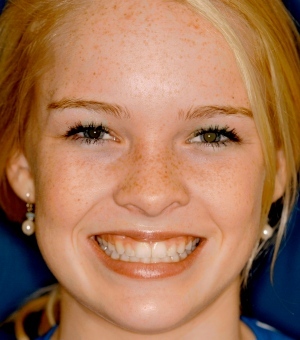 It doesn’t require specialized skill the way doing a smile makeover does, but it does require a knowledge of the process and some specialized materials. Polishing porcelain requires the use of diamond polishing instruments and polishing paste, ending with an ultra-fine diamond polishing paste. If this is the dentist who did your veneers and you’re happy with his work, I would go back to him and tell him you’d like a little higher shine and, if you need to, you can tell him I suggested using Brasseler’s Dialite porcelain polishing system to get back that glossy shine. That’s what I used for situations like this. Read more in this blog about porcelain veneers losing their shine. I don’t know why he wants shine. I just had my porcelain veneers installed and I HATE the shine. That’s how you can tell that those teeth are fake, they have this crazy unnatural shine and spoil every picture. Is it possible to REDUCE shine? Is there anything I can do to make them shine less. Its a blinding shine that looks awful , real teeth don’t shine like that. Thanks for a great comment. It opens up an opportunity to discuss an important aspect of a smile makeover that isn’t often discussed, and that is the shine and texture of the surface. The glaze on the porcelain is very important. That’s what gives the porcelain it’s excellent stain resistance and gives the porcelain its natural sparkle that makes it look so real. But it needs to be applied correctly. In order for it to look lifelike, there has to be some texture. It sounds like what you have is a very flat surface on your porcelain veneers, and that will generally look fake. Here is a photograph of someone’s smile. Three of these teeth are real and one, the lateral incisor on the right, is a crown. Notice that the surface of the teeth, while it is shiny, is irregular. This gives the teeth a sparkle, and is one of the characteristics of a beautiful, natural smile. And the amount of texture can be varied to create different impressions. Younger smiles tend to have more texture. As we get older, the teeth wear down and so have less texture on the surface. But let’s go to your case, Angela. It’s interesting that you say that you just had these porcelain veneers bonded on and you hate them. That will never happen with an excellent cosmetic dentist. I talk with many expert cosmetic dentists and I ask them about the try-in procedure, and every one of them tells me how important it is to them that the patient love the new smile before they bond it on. Even if the patient says they like the veneers but they’re just lukewarm about it, an excellent cosmetic dentist will ask why and, if necessary, will send the case back to the laboratory to be re-done until the patient is enthusiastic about them. That clearly never happened in your case. You say you want to reduce the shine. There are ways to do that. The quickest way is to have a dental hygienist use a Prophy Jet to polish them. This applies a powerful sodium bicarbonate spray to the teeth and will destroy the glaze from the porcelain. But then your veneers will readily attract stain, and, without the natural texture, they still won’t look natural. My advice would be to go back to your dentist and see if you can talk him or her into re-doing them. You paid for a beautiful smile—that’s what you should get. And insist that you get to see them temporarily placed on your teeth and that you approve of them before letting the dentist bond them on. I got veneers almost a year ago now & I am noticing staining between my teeth. I do smoke, but i thought veneers were pretty hard to stain? Should I make an appointment with the cosmetic dentist that did them? I’m still paying on these, almost finished paying them off. I don’t want to continue paying if this is going to get any worse. I can send a pic if you want. Thanks!! I would like to have a picture of these, because it could be one of a couple of different things going on. Lacking a picture, I will take my best guess. You’re right that the porcelain itself won’t stain unless the glazed surface is damaged somehow, like with a power polishing machine like Prophy Jet, or with a fluoride treatment with acidulated fluoride. If either of those had happened to you, however, there would be staining across the entire surface of the porcelain veneers. Since your staining is between the teeth, it seems likely that it is at the margins where the porcelain meets the tooth. There are two or three reasons that this area could be attracting stain. 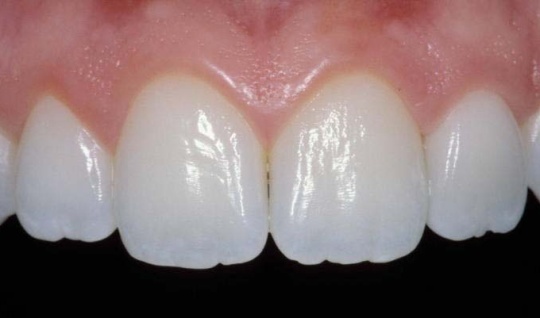 If there is a gap between the porcelain and the tooth, that would be tricky to fix. But my guess is that there is just some area of bonding composite here, and that is pretty easy to polish. But I would go back to the dentist who did these veneers for you and not expect a general family dentist to know how to do this correctly. This area most likely was polished when you had your veneers bonded. It may just need to be re-polished. When I practiced, I encouraged my porcelain veneer patients to schedule regular re-polishing appointments where my hygienist would use ultra-fine polishing strips in this area and a special ultra-fine aluminum oxide polishing paste, to keep this area as smooth as possible and resistant to stain and plaque accumulation, to prolong the life of the veneers as much as possible. The point is that this is an ingredient of maintenance, and not anything that indicates that the veneers were poorly done. As such, I would expect to pay for this visit. For most patients, any accumulated stain would be minor. If you’re a smoker, though, it would be more obvious. 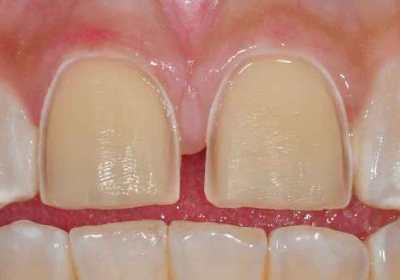 You can check out my page of tips for porcelain veneers post-operative care where I explain this polishing maintenance and address the possibility of staining. My veneers are too white AGAIN. What can I do? I would appreciate your opinion. I had nine “ceramic” veneers done on my lower teeth, five weeks ago. When they first came back I told the dentist that the color was too white. My dentist sent them back and had the lab change the color. I asked that the new color should match my exiting teeth which are shade A-2. When they came back, he glued them in without showing me or discussing the color. I think they are still too white. My son was getting married five days after the permanent placement, so it seem futile to discuss at the time, especially since they were already placed. Then three weeks after placement, one of the veneers broke in half (from the bottom). The dentist said my teeth will be replaced for two years w/o charge. Is the amount of time reasonable? Do I have reason to be concerned about the long term sustainability of this investment? 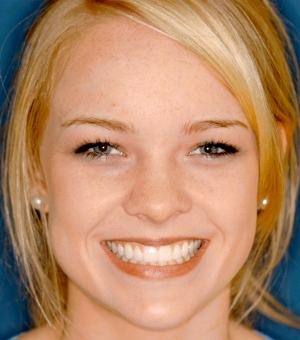 Can an objective person look at my teeth and not notice the difference in color? If so, what is my possible recourse? Is ceramic more durable/stronger then porcelain? I had some gum coming through my teeth. Would veneers be made to “cover” them? This was not done. Can one determine if the material that was used is defective? I have the broken half. I’m not sure I’m understanding correctly what happened here. Are you saying that your dentist bonded on these veneers and you weren’t aware that he was doing that? You say that he put them on the second time without showing you. Did you agree to that, that he didn’t show you? Or did he do that without asking you? If you didn’t give your consent to having them put on, the dentist could be in real trouble over this. Consent is key to any dental or medical treatment—you have to consent to any treatment done to you or it is malpractice. And even if you did give a passive nod to your dentist to go ahead and bond them, a good cosmetic dentist will never bond on a set of veneers without being absolutely sure that you love how they look. Further, missing the color twice? I would never put up with that in a situation like this. This is not a challenging color situation, what you have described to me. And the veneer breaking after placement, this complicates your dentist’s situation. The veneer breaking isn’t because the veneer itself wasn’t strong enough—it’s because it wasn’t bonded properly. Porcelain veneers by themselves are very thin and fragile. They get their strength by being bonded to the underlying tooth. You can often break them in your fingers before they are bonded to the tooth, but once they are bonded they are very hard and strong enough to withstand normal biting forces and other functional stresses. Porcelain is one of several ceramics that are used for veneers, so I’m not sure what you’re meaning by ceramic veneers. Most other ceramics are stronger than porcelain, but, as I explained, that isn’t the problem. It’s the bonding strength. About the color being noticeable—lower veneers that are whiter than uppers look particularly funny. You can usually get away with the lowers being a little darker than the uppers because they tend to be further back in the mouth and thus we expect them to look a little darker. If they’re whiter than your upper teeth, I wouldn’t put up with that. 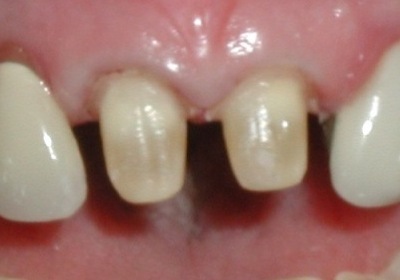 I had 4 upper front teeth veneered and two of these front teeth have turned a light gray! They don’t look like they looked when the dentist first placed them on in August. One is more dark than the other, this particular tooth was already darker and when it was filed down seemed to be even darker underneath. The dentist told me that we would just need to make the veneers thicker so it doesn’t bleed through. I don’t know if this is the case or if something else is wrong but I’m very upset as I have three different colors; my real yellowish white teeth, my gray veneers and my white veneers! This was the whole reason that I wanted to get veneers in the first place to correct old looking teeth. She has already replaced one veneer because when it was put in it was put in slightly crooked, so I just got that fixed. I almost don’t want this dentist to touch any more of my teeth but I don’t want to walk around looking ridiculous I don’t know what to do. There are two parts to your question: 1) What went wrong; and 2) What do you do now. Actually the second part is easier, so I’ll start with that. Your dentist clearly is in over her head. There’s the issue of the four veneers not matching. Her suggested solution is the wrong solution—don’t let her make the veneers more thick. One veneer got on crooked. And you only hinted at one fundamental mistake she made when you said that your real teeth are yellowish white and then you have two white veneers and two grayish veneers. Having four front teeth that are noticeably whiter than the rest of your teeth isn’t attractive and any true cosmetic dentist would not have done that to you. You really only have one choice of what to do from here—you need to find an excellent cosmetic dentist and get this fixed in their office. Doing beautiful smile makeovers requires a passion for appearance-related dentistry, which your dentist doesn’t appear to have. It also requires several years dedicated to post-graduate training, which your dentist also doesn’t appear to have. There is too much wrong here to have hope that your dentist is going to be able to get it right. I’m going to assume that your dentist is an ethical person but just in over her head on this one. It shouldn’t be difficult to get some kind of refund for the work that has been done. You paid for a beautiful smile. You didn’t get it, so you should get a refund. And then your new expert cosmetic dentist may want to start over from scratch. The first step would be to bleach your natural teeth to an acceptable color, to get rid of the yellow you mention. Then, after a delay of a couple of weeks for the new bleached color to stabilize, do the four veneers. They don’t have to be thick to block out any underlying color. If the one tooth is particularly dark, an easy way to manage that is to prepare it just a little deeper than the others and then apply a layer of opaquer over the prepared tooth, before taking the impression, so that all the prepared teeth now look the same color. Or, working with an excellent esthetic dental laboratory, they can make the one veneer with an opaque liner—but that is a little trickier to do because it requires great color communication between the lab and the dentist. As far as what went wrong with your first set of veneers, it would be easier to tell if I had a photograph. If they are an uneven gray, it could be micro-leakage getting under the veneers because of their not having been bonded properly. If the gray color is even, then something has happened to the glazed surface of the veneers. Maybe they weren’t properly glazed in the first place, maybe they aren’t really porcelain, or maybe that glaze has been damaged somehow since they were put in. Glazed porcelain is very color stable, much more so than natural tooth enamel, so something had to have gone wrong for them to undergo any color change at all. It couldn’t be the underlying color bleeding through because if that were the case, they would have been gray from the start. But you said they have turned gray. My best wishes. I hope you get the beautiful smile you paid for. And how to find an expert cosmetic dentist? That’s the purpose of this website. If you go to our list and don’t find someone near enough to you, get back to me.